I’m sure it was a bittersweet walk. I love this business of umbrelllas repair. I cannot remember of any when I lived in Paris. It would have been great since I broke so many, bumping into some obnoxious people or simply fighting against gusts of wind, so frequent during Parisian winters. I’m looking forward to reading more about your post Thanksgiving walk. It was tough on the mind, luckily not all of the walk was gloomy. It was a beautiful day too, with no need for umbrellas. I’ll write it soon and post it after Christmas I think (now with your comment I really have to do it). I have an umbrella that I absolutely cherish, and guess that some people are willing to pay to have their beloved umbrella repaired. I can understand your feelings around walking through Paris. Looking at pictures of New York City’s Twin Towers before and after 9/11 are heart-wrenching! I do laugh about your umbrella sign though as once my umbrella blew inside out and dowsed me with a shower of cold water, I never carried an umbrella again. I simply wear hooded coats. Oh that is never fun when the umbrella gives up. I used to snob umbrellas in the past, but have adopted them again. I recall going to ground zero at the end of 2001, it sure was strange. But now I am of an age where I can grasp these things differently. Thanks for entering my photo challenge this week, Solveig. 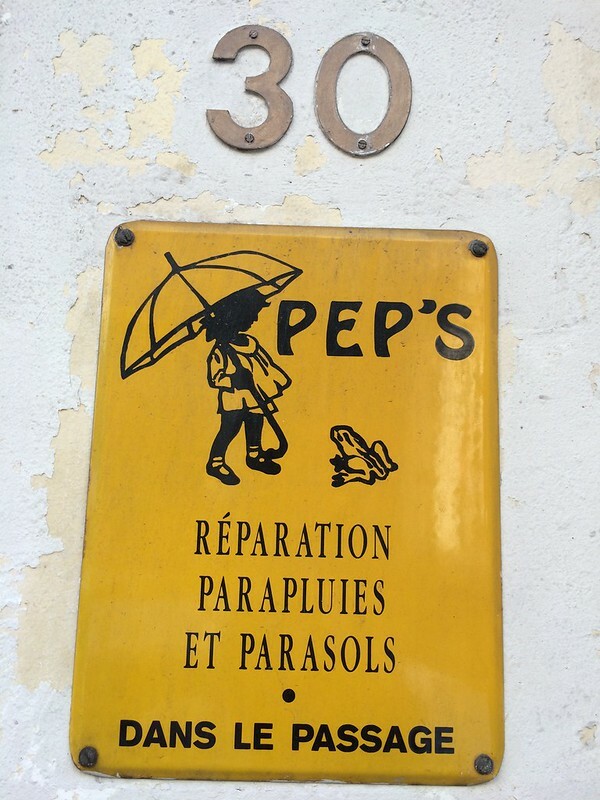 I’ve never heard of an umbrella repair service before, so this sign is a new one on me. It was my pleasure, thank you. Your challenge is definitely a fun one as it is different every time! Congratulations Solveig, I have featured your entry to my Photo challenge on my blog. Thank you for participating and I hope you will join in the fun again.